Vani Bhojan is a popular small-screen actress who predominantly appears in Tamil serials. The actress had recently signed up to play the lead in N4, directed by Lokesh, which marks her maiden entry in Kollywood. The actress is all set to debut in the Telugu film industry. 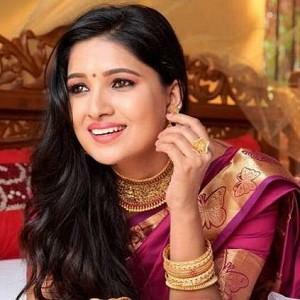 The 'Deiva Magal' fame actress has been roped in to play the female lead in the yet-to-be-titled film which will be produced by Vijay Deverakonda. The actress will be paired opposite 'Pelli Choopulu' fame director Tharun Bhascker Dhaassyam. The film will be directed by Chennai-based short filmmaker Sameer. Touted to be a light-hearted film, shooting process for the movie had already begun. This film will mark Vijay Deverakonda's debut as a producer. It is noted that the actor had earlier collaborated with Tharun Bhascker for Pelli Choopulu in which Vijay Deverakonda played the lead. People looking for online information on Vani Bhojan, Vijay Devarakonda will find this news story useful.